BE THERE: Tickets are available by clicking here. Capital One Cardholders receive complimentary entry for two to Final Four Fan Fest. For online ticket purchases, enter your Capital One card BIN number in the promo code field by clicking here. Customers can also show their card on-site at the Final Four Fan Fest Box Office to receive complimentary entry for two. Get two (2) complimentary tickets & use the Capital One Cardholder Priority Access Lane entry by showing your Capital One card at the Capital One Ticket Counter at Fan Fest. Friday, April 5 11 a.m. - 7 p.m.
Monday, April 8 11 a.m. - 6 p.m. If the games weren’t exciting enough, the Final Four is bringing a weekend jam-packed with events around Minneapolis for residents and visitors of all ages. Sports fans, college students, families, music junkies: there is something for everyone! Fan Fest is so much more than basketball. Knock it out of the park at Home Run Derby, participate in one of the free cheer clinics taking place over the weekend or make your way over to the rock wall and climb to the top to get a birds-eye view of the entire event! You will even have a chance to snap a selfie with the championship trophy! Didn’t have enough time to see and do everything in one day? Don’t worry, Fan Fest is open all weekend! Fan Fest is the best way to celebrate Final Four weekend in Minneapolis. And with free entry for kids 12 and under, it’s affordable too! Don’t miss out on this once-in-a-lifetime experience! Planning for Minneapolis is underway, be sure to check back in February 2019 for event updates and activities! Get (2) complimentary Fan Fest tickets by showing your card at the Capital One Ticket Counter at Fan Fest. Dates TBA: Show your Capital One card to get in to the Capital One Fan Zone at Fan Fest, before doors open to the public. * All times local and subject to change. Bag Policy (see approved and prohibited bags below). All individuals will be subject to a search upon entry. **Failure to comply with venue and event management will result in denial of entry. Animals (except service animals to aid guests with disabilities). Artificial noisemakers or noisemaking devices of any kind. Prohibited bags include, but are not limited to, the following: all purses, bags or containers larger than a small clutch bag, coolers, briefcases, backpacks, fanny packs,cinch bags, luggage of any kind, computer bags and camera bags. Please refer to the bag policy on the reverse side. Balls or any object that can be used as a projectile. Outside food and beverage and containers of any kind (except for guests with medical and dietary needs). Fireworks or weapons of any kind (firearms, knives, etc.). Folding chairs, stools or other seating devices. Poles or sticks of any kind, including selfie-sticks . Signs or flags larger than 3' x 2'. Any other item(s) determined by event management to be dangerous or inappropriate will not be allowed into NCAA events. **All individuals, regardless of age, must have a valid event ticket to enter U.S. Bank Stadium on game days. **There will be no re-entry into U.S. Bank Stadium on game days. The use of duplicate or unlicensed tickets will result in expulsion. Profanity will not be tolerated and may result in expulsion. The use of obscene or indecent clothing will result in expulsion. Non-permitted items can be discarded or returned to the guest's vehicle or hotel room. Please store items left in vehicles out of sight. 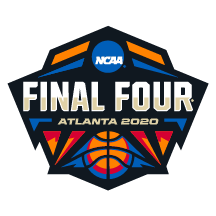 Final Four Venue guests with disabilities should contact Guest Services at 612-777-8761 in advance for parking, admission and seating accommodations. If your bag is larger than 5.5" X 8.5", it will not be allowed into the Final Four® Venue, March Madness® Music Series or Final Four Fan Fest. Check out the Capital One Fan Zone and show off your squad with #FanGoals. Give your best shot at the Eno Shooting Challenge LED Court, take a trip in our 360-degree photo booth experience, create your very own Chuxedo, take seat at the Capital One Café Experience, and visit all of our sport-themed games to win prizes. You can knock it out of the park at Home Run Derby, practice your slapshot or try your hand at any of our other soccer, football, golf and lacrosse activities. The more you play, the more you win! SPECIAL CAPITAL ONE CARDHOLDER OFFER: Show your Capital One card for two complimentary event tickets, VIP entry, and a special merchandise offer; plus enjoy exclusive cardholder hours- Saturday, April 6, 9-10 a.m. and Sunday, April 7, 10-11 a.m.
AT&T is giving you a chance to inspire imagination and experience the Final Four like never before. Check out fun, high-tech, basketball-themed activities and experience first-hand how technology can help you elevate your game. There’s also a place to recharge, get autographs from coaches and NBA legends, and a few other surprises too. Make sure to take your Final Four experience on the go by downloading the official NCAA® Final Four® app presented by AT&T. You can find all the information you need at your fingertips, including custom schedules and maps of all the events. MSG & DATA Rates may apply. Coca-Cola, the Official Fan Refreshment of the NCAA Final Four, and RITZ Crisp & Thins, an Official Partner of the NCAA, are bringing an arena of flavor for you to explore at Fan Fest. Travel through all six whimsical flavor rooms, designed for you to capture the perfect photo. While you’re here, don’t forget to try new Orange Vanilla Coke and Orange Vanilla Coke Zero Sugar and RITZ Crisp & Thins in Cheddar, Barbeque and Cream Cheese & Onion. Enter the ELEAGUE x Rocket League Game Zone presented by AXE for the ultimate gaming experience! Test your abilities, play a match, and compete with your friends. Featuring special live Collegiate Rocket League Spring Invitational exhibition matches on Sunday, you won’t want to miss this! All ages and skill levels welcome. AXE is all about helping guys find their magic while confidently pursuing their passions – like gaming! This Final Four, AXE is hosting multiple Rocket League tournaments giving fans a chance to win prizes, gain serious clout, and share it all on social at the ELEAGUE x Rocket League Game Zone presented by AXE. Buffalo Wild Wings, Official Hangout for NCAA March Madness®, presents The Great American Sports Bar inside Final Four Fan Fest. Fans, don’t miss the chance to dominate at Buffalo Pong, a larger-than-life basketball game, or see if you can handle the heat of the Tag Team Blazin’® Challenge, a new competitive twist on the classic wing-eating contest that only the strongest can stomach. Check out the Buffalo Wild Wings Pick ‘Em Daily Bracket game — only available in the Buffalo Wild Wings Blazin’ Rewards app —fans can win unbelievable prizes like a custom-built Buffalo Wild Wings, legendary sports trips or free wings for a year. The Sports Bar also features the new MVP Room where fans can play basketball video games, as well as a full-service bar with tons of TVs, and trivia where fans can compete to take home a Buffalo Wild Wings gift card. Don’t miss your chance to see NCAA (University of Arizona) and NBA® Champion (Dallas Mavericks) Jason Terry on Saturday, April 6 at 1:30 p.m. and former Timberwolves small forward Wally Szczerbiak on Sunday, April 7 at 3:30 p.m. Fans can stop in, grab a beer and sample Buffalo Wild Wings’ famous traditional wings while supplies last. Buick, proud partner of The Final Four, invites you to visit Buick Fandom University, where you can earn your degree in fanology and score some official fan gear. Your classwork will include T-shirt Cannon Mastery, Tailgate Theory and Applied Fandom Arts. Plus, you’ll experience the new Buick line-up of luxury vehicles. GEICO, official partner of NCAA March Madness, invites you to join the fun in Minneapolis! Come check out the GEICO display to take on a friend in the unique Connect 3 basketball game; sink jumpers to get three in a row and prove who the true Connect 3 champion is. While you’re at it, show off your hops on the slam dunk hoops, take a photo in our final four locker room all while winning awesome NCAA swag, compliments of GEICO! Come celebrate the relaunch of the famous P’ZONE by visiting the Pizza Hut Fan P’ZONE. Meet NCAA legends, create your own Championship trophy moment with friends, feel what it’s like to “Cut Down the Net”, see how you measure up to the sport’s top athletes, and experience the March Madness roller coaster of emotions on the Mechanical Ball. Don’t forget to taste Pizza Hut pizzas and P’ZONEs throughout the day and remember no matter how your bracket fares, Pizza Hut is the only win you can count on! experience could be the envy of the neighborhood! Be sure to also get your one of a kind Final Four souvenir by posing for a picture with the Final Four logo on the #OfficialCourt! Visit the NCAA Authentic Team Store to purchase the best Final Four apparel in Minneapolis. Browse the largest selection of men’s, women’s and youth apparel items in Minneapolis, as well as numerous novelty items, and complete your entire wish list at this one location! You will also have the chance to see the Official NABC Coaches Trophy on display Saturday, April 6 from noon – 3 p.m. and again on Sunday, April 7 from noon – 3 p.m. Don’t miss this opportunity for a photo op with one of the coveted trophies that the 2019 National Champions will cherish! Do you have what it takes to master the Aim High Combine? The U.S. Air Force invites you to show off your best moves as you dribble, shoot and jump your way through the course! Cartoon Network takes you through an interactive experience with your favorite characters from Ben 10, We Bare Bears, Gumball, and Teen Titans Go! Conquer the skills challenge. Scale a rock wall. Feast your eyes on awesome episodes of the choicest Cartoon Network shows. Learn to draw like a pro and more! RISE's Champions of Change interactive experience takes fans through a journey designed to increase awareness, evoke empathy and create action. Champions of Change offers fans the chance to hear personal stories from players on their passion for social justice, explore the history of sport and society and create a unique self-portrait to express how they can be champions of change in their own community. Sirius XM Channel 84 is your radio home for College Basketball! Catch hosts Mark Packer, Chris Spatola Tom Brennan broadcast their radio shows live from Buick Arena! Watch interviews with coaches, analysts, & former players while broadcasts happen live! Can’t join us live? It’s the perfect time to listen in your BUICK or start streaming SiriusXM on the go and at home. Tune in to Channel 84 on your satellite radio or visit siriusxm.com/fanfest. Get in the spirit of Final Four and join in on the Final Four Fan Fest Cheerleading Clinics. The clinics are an opportunity to learn some new cheer and dance moves to help bring some team spirit to your favorite team throughout the weekend! All levels are welcome. Come by the court during non-cheerleading hours for basketball drills and games throughout the weekend! Responsibility Has Its Rewards for all fans who make the pledge to prevent drunk driving and promote traffic safety and positive fan behavior. Together, TEAM Coalition and the NCAA are rewarding fans for their responsible behavior. Add your name to the larger-than-life responsibility ball and smile for a souvenir photo. Every fan who makes the Responsibility Has Its Rewards pledge is entered to win prizes. The University of Minnesota Golden Gophers are excited to welcome you to Minneapolis as the host institution of the 2019 NCAA Final Four! Stop by the Gopher Athletics booth throughout the weekend to grab Gopher posters from your favorite sports, take a photo or gif with our customized Gopher Photo Booth, and register to win autographed merchandise from Gopher Men's and Women's Basketball Head Coaches Richard Pitino and Lindsay Whalen. Visit with the Gopher Athletics staff members on-site about upcoming events, ticket packages, and all things happening at the U of M! Go Gophers and Ski-U-Mah!